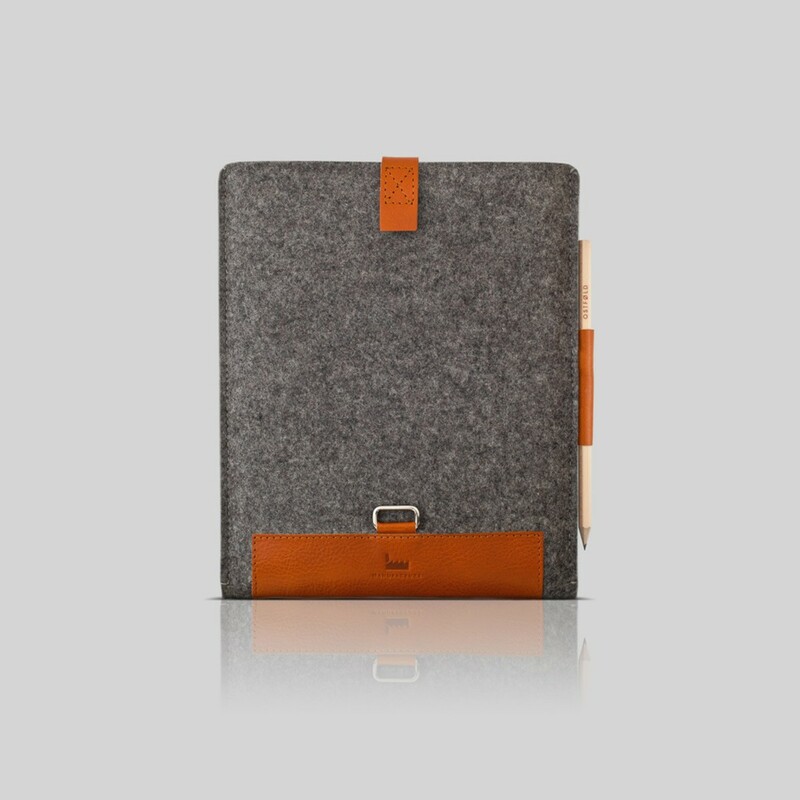 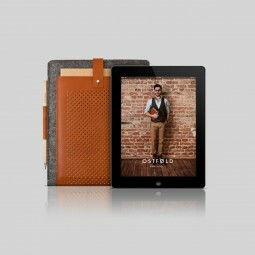 The OSTFØLD 698 iPad case is a wool and leather protective sleeve designed to protect your device from wear and tear. 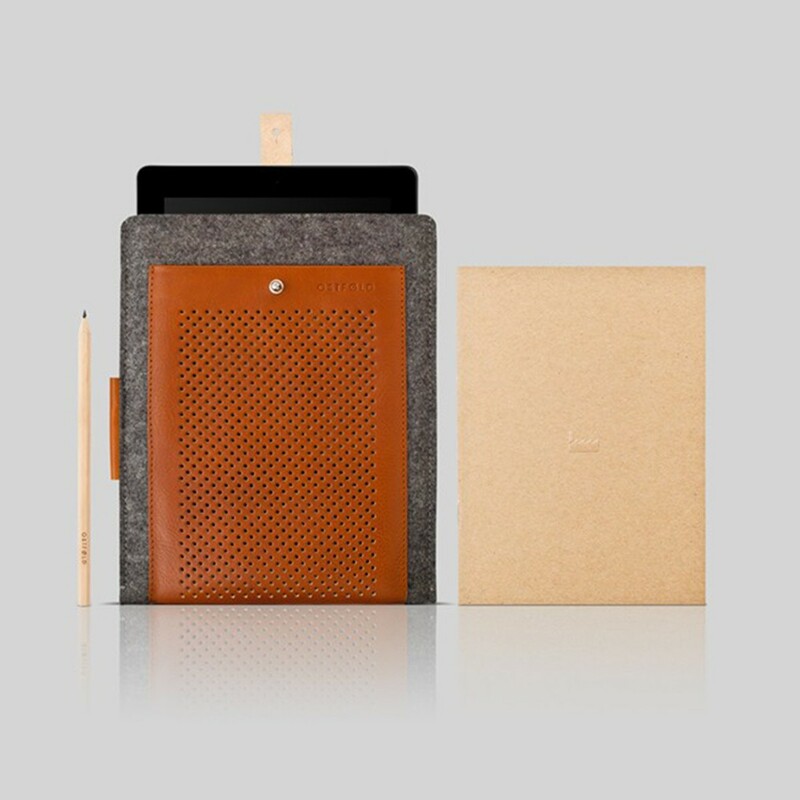 The case comes with a wooden pencil and a 16 pages Kraft paper cover notepad. 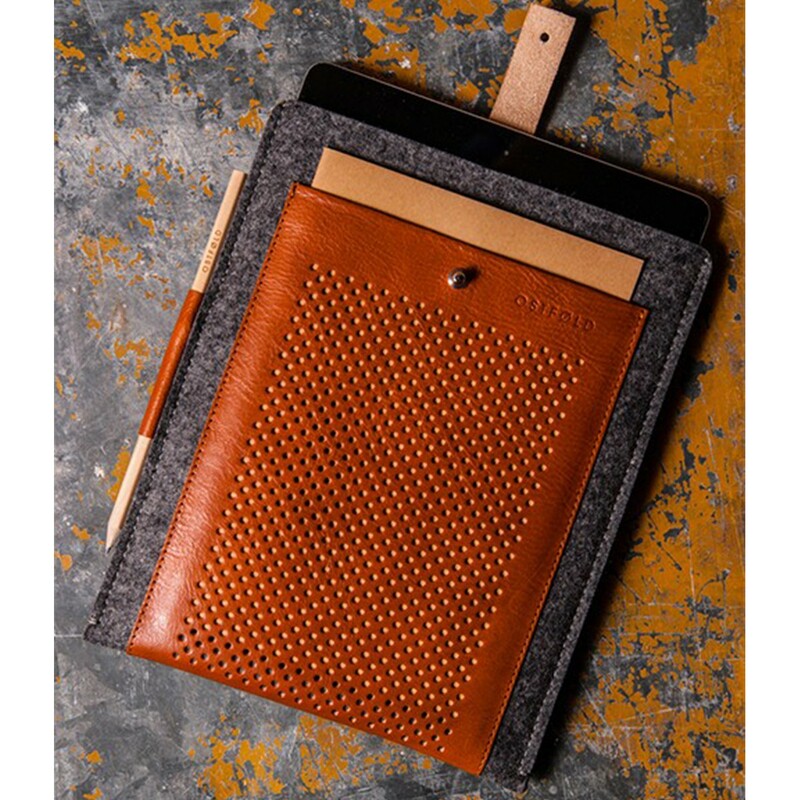 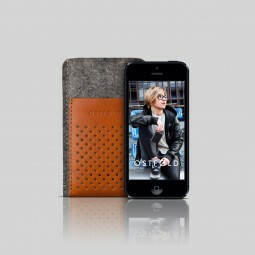 The leather is perforated with 698 holes. 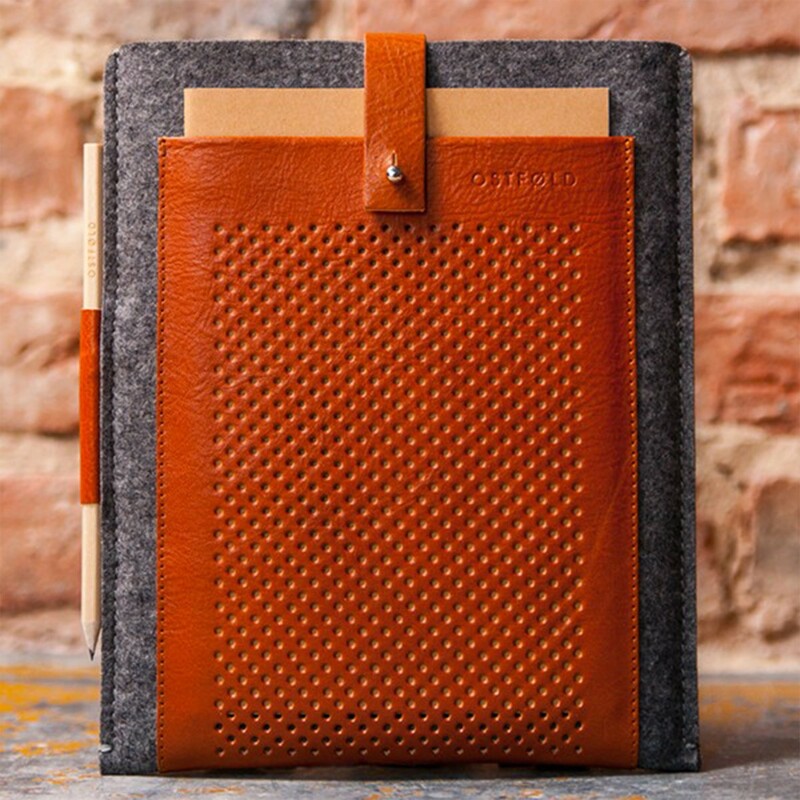 Handcrafted in Silesia using German natural Merino wool-felt and premium Italian vegetable tanned leather, this product is truly European and eco-friendly. 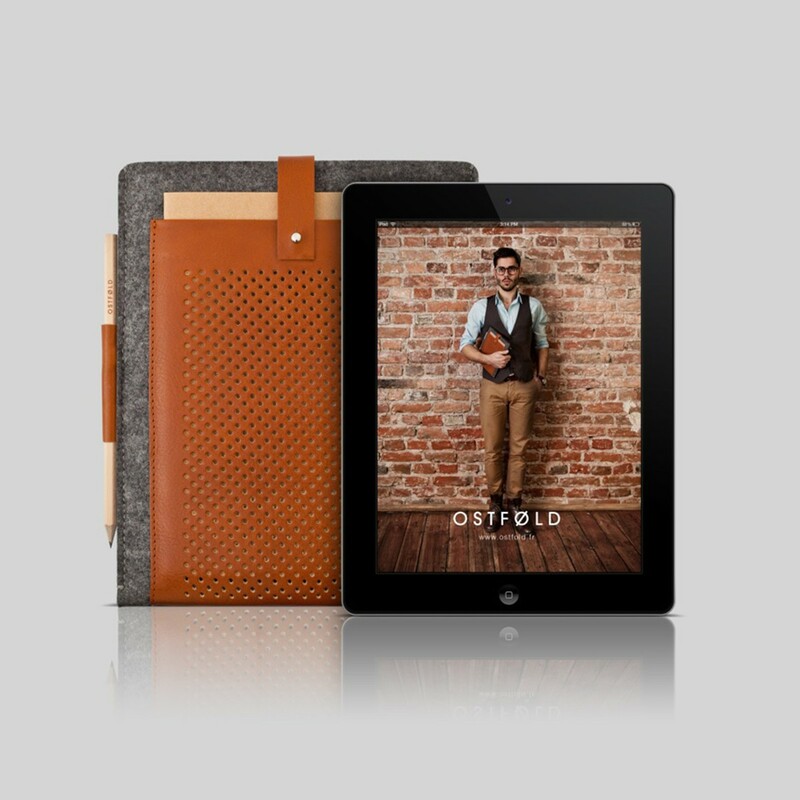 OSTFOLD offers a range of premium wool & leather cases for various technological devices of the 21st century (Apple, Samsung, HTC).